Premiered January 29, 2010 by the American Composers Orchestra, Anne Manson conducting. Time Lapse was commissioned by the American Composers Orchestra through generous sponsorship by Paul Underwood. Time Lapse makes reference to two kinds of artistic photography: time-lapse photography and high-speed photography. Time-lapse photography speeds the motion of slowly moving objects and large periods of time are reduced to seconds. 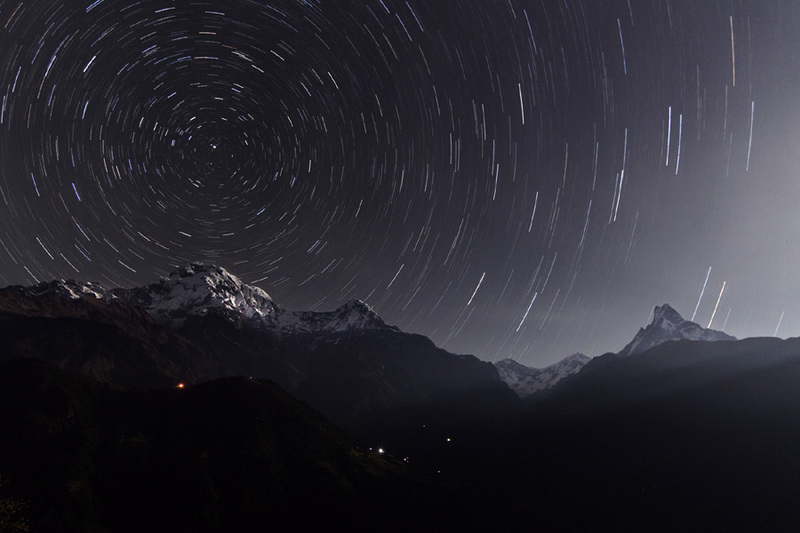 The picture on the right (credit APOD) is a long exposure photograph of the Himalayas with star trails. While the mountains appear stationary, the star trails are caused by the earth's rotation throughout the night. High-speed photography is used to capture extremely quickly moving objects and slow them down to become perceptible to our senses. 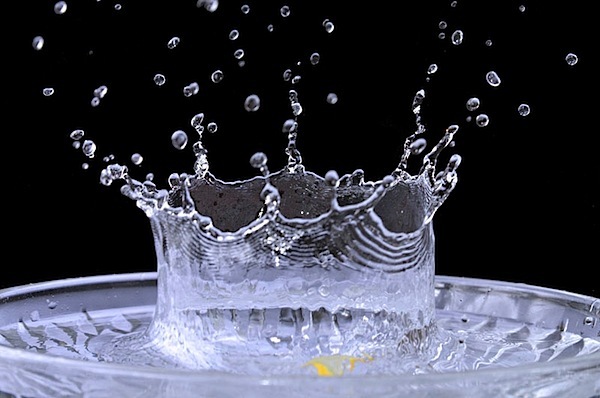 Below is an image (credit Ahmed) that was taken a split second after an object was dropped in water. It reveals a great amount of detail that we would not have been able to perceive in real-time. The music explores these two kinds of temporal perception, as motivic ideas are developed through expansion and contraction. With numerous distinct sound worlds, the piece utilizes the vibrant spectrum of orchestral colors, featuring an array of suspended cymbals and the unique sound of magnetic tape applied to the strings of the piano and harp. Time is flexible through the use of metric modulation and rhythmic variance. The piece grows from concise motivic ideas to sweeping gestures to give the listener a sense of a vast and timeless expanse. Time Lapse is published by the Theodore Presser Company. To purchase scores or rent parts, please head to their website.